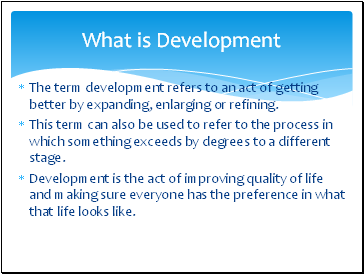 The term development refers to an act of getting better by expanding, enlarging or refining. This term can also be used to refer to the process in which something exceeds by degrees to a different stage. Development is the act of improving quality of life and making sure everyone has the preference in what that life looks like. Social- Life of the people and the infrastructures in the country. Political- The level and type of governance being practiced in the country. 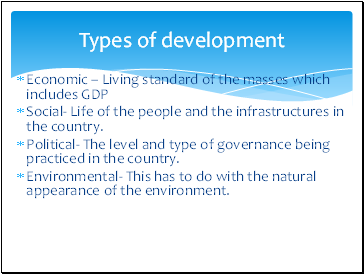 Environmental- This has to do with the natural appearance of the environment. 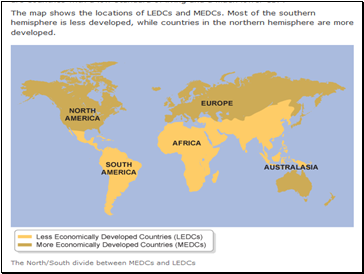 (i) The more economically developed countries (MEDC’s) which include the richer, more industrialised countries of the so called developed North. 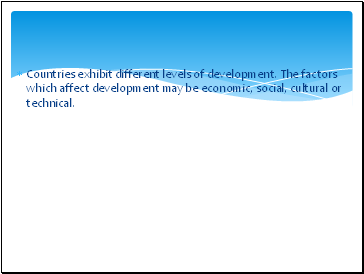 Countries exhibit different levels of development. 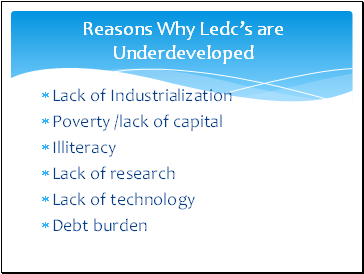 The factors which affect development may be economic, social, cultural or technical. 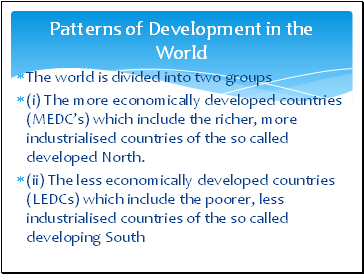 Studying development is about measuring how developed one country is compared to other countries, or to the same country in the past. 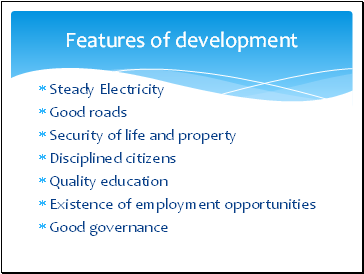 Development measures how economically, socially, culturally or technologically advanced a country is. 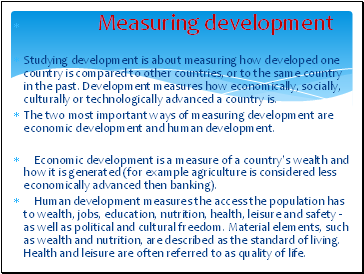 The two most important ways of measuring development are economic development and human development. 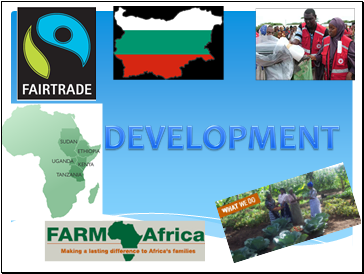 Economic development is a measure of a country's wealth and how it is generated (for example agriculture is considered less economically advanced then banking).